The notion of "service" isn't quite the same in Russia as it is in other parts of the world. And beyond that, things in general just don't always work all that well. When a group of us visited Moscow in 1986, which was early-Gorbachev, we came home thinking, "THIS is the country we spend billions defending ourselves against!?" "We joined the queue of waiting vehicles beside the train station about two in the afternoon. Asking around, Sergei learned that we would be able to get on a train leaving that night at nine thirty. If I thought I could pleasantly while away the afternoon reading, sketching and jotting in my notebook, I was mistaken. The misery bubbling up everywhere in Chernyshevsk blotted out any idea of calm. Sitting in the van was difficult because of the heat. The widely strewn trash and garbage guaranteed every person an individual corona of flies. Strange guys in warm-up suits loitered the premises at large and hit on any stranger they saw. Even Sergei and Volodya, when they strolled from the van, had to dodge them. The couple of times I ventured among them I was like a crouton in a goldfish pond. The public bathrooms had overflowed some time before, so most people who needed them employed instead whatever out of-the-way or not-so-out-of-the-way corner of Chernyshevsk they could find. The train station itself was devoid of services or information of any sort. Apparently all departure and arrival announcements were relayed solely by word of mouth." Of course the train never came, and Ian, Sergei and Volodia were left to fend for themselves overnight. Down at the far end of Tiananmen Square, opposite the grandiose Forbidden City and Great Hall of the People, both built to larger-than-life scale to intimidate the mere citizen, and past the Mao-soleum, ditto, a warren of alleyways and lanes shuffles off to the east. Built to intimately human scale, this hutong, or old traditional neighborhood, is the subject of a book written with extraordinary warmth and good humor, called The Last Days of Old Beijing: Life in the Vanishing Back Streets of a City Transformed, by Chinese-speaking American school teacher Michael Meyer. On our most recent visit to Beijing, Olympic trinkets were all the rage. Precisely those Olympics, and the rush to modernize Beijing in time for the games, caused the downfall of many of these old traditional neighborhoods. Meyer rents an apartment (sort of), in a hutong, becomes a teacher at the neighborhood school and tells us the stories of his friends and neighbors with grace and a really good nature. You're pretty sure you'd like Meyer if you knew him. In this photo, from the China Gallery at EarthPhotos.com, we're just about bowled over by a man carrying a tub of water out of his food shop in the hutong just southeast of Tiananmen Square. Train T-27, daily service between Beijing and Lhasa, has been in operation for a couple of years now. A recent story called On the Train to Tibet: Railroading the Roof of the World, on Treehugger.com, has a review with lots of pictures. In 1999, well before you could take the train, we drove to Lhasa from Kathmandu, Nepal. Read that story here. This photo of the Potala in Lhasa is from EarthPhotos.com. See more Tibet photos in the China gallery on Earthphotos.com. - The government appears to have been watching the neighboring U.A.E. and now means to cherry-pick the best of its development schemes. They’ve obviously moved more slowly, and more cautiously, but now it looks like they’re ready to embrace tourism. For example, a $2.6 billion, 4000 unit residential project on the beach a few minutes from the airport called The Wave is under development (and heavy advertising) and will surely afford blocks of rental properties. It’s being developed in low-slung, anti-garish, Omani style. - The Muttrah Souk near Muscat is smaller than souks and markets we’ve visited in Marrakech, Cairo and Calcutta. It is possible not to get lost in the Muttrah Souk. Nonetheless, it’s an absorbing couple of hours. - Dubai is Muscat’s big brother, and connection to the rest of the world. I don’t know how many people proudly noted that it’s only four hours (some said five) drive up the highway. - Everybody is fascinated with water. At EarthPhotos.com we use Nikon gear, specifically, a D200 body backed up by an older D70. We've expected to upgrade to a D300 next, but suddenly, now comes the new D700 reviewed here by Stille Photographie. Thanks to PhotographyBlog for the link. Also see Ken Rockwell's review. Today, the D70 body sells for maybe $700, the D200 around $1000, the D300 $1600 - $1700, and the D700 looks like shipping for around $3000, starting in a couple of weeks. 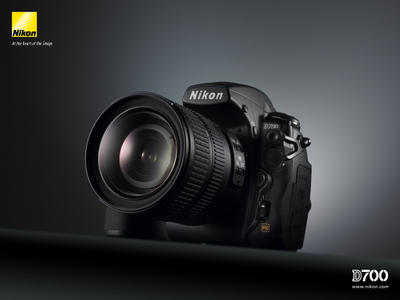 By comparison, Nikon's pro D3 runs something between $4000 and $5000. 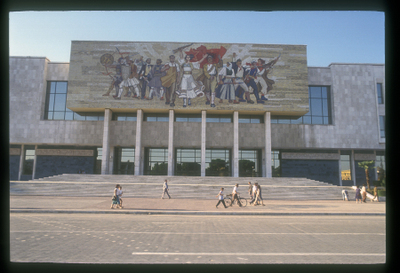 Albania's national museum in the days before Michael Palin. 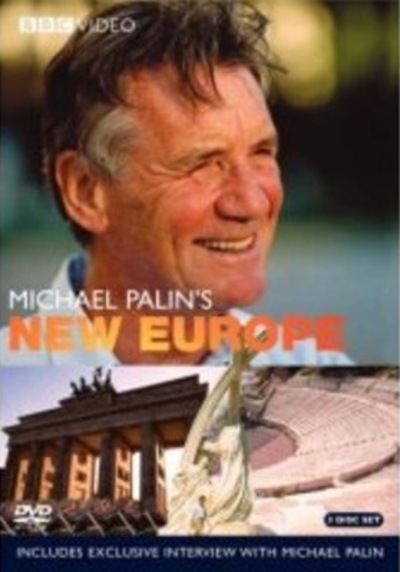 Michael Palin's latest travelogue for the BBC, which aired six months ago on the Travel Channel, somehow eluded us until we discovered it while posting our blog about Ballooning in Cappadocia. So we bought and have just begun watching the DVD. We found mostly admiring reviews in The Age and elsewhere, including an adoring World Hum interview. Still, it's hard to escape the strong first impression that Michael is slowing down. There's lots of interminable round-the-table discussions with Authentic Drunkards in one Balkan land or another, and more than one feature of questionable cosmic relevance, most painfully the never ending talk with the mysterious reader of coffee residue in Turkey. We reserve judgment for now because among other thingss, we haven't seen the episode including Moldova yet and Moldova's on the long list of places Palin has beaten us to. We hope he'll convince us to hasten our visit there. We had the pleasure of seeing Michael Palin give a small talk in Atlanta some time ago. When we asked him where he likes to go for private time off, he talked about his house in the French countryside. It was fabulous to see Palin's visit to Tirane, Albania. When we visited in 1993, Albania was still a slightly eerie Former Communist Land, as the picture above suggests. We saw in Michael Palin's New Europe that that museum's still there, and looking good. Palin did an interview with that same facade - and nowadays loud, jammed, jostling traffic - in the background. Put us down for another visit to Tirane - soon. See Albania fifteen years ago on EarthPhotos.com.